The Servosila “Engineer” is a disaster response robot that can thrive in almost any condition. The robot is able to stream live video back to the disaster management team. Then, from a distance, the disaster team can safely assess any situation. Stairs, doorways, narrow passages, and rocky terrain are no match for the robot’s light-weight metal body. The Engineer is extremely durable. It’s water-proof, dust-proof, and can work in rain, snow, and extreme temperatures. The hardened electronics and sensors package within the robot are both capable of withstanding any environmental stresses. Impressively, the robot can even fit inside a backpack. It’s portability makes it an excellent tool for remote inspection in hard-to-access areas where transportation by cars or trucks is impossible. The robot is also completely customizable, thanks to its modular construction. The flexible arms can lift heavy loads, transport potentially dangerous items, and also grasp, push, turn, and pull objects. Additional tools, such as a drill or a circular saw,can be installed either in place of the gripper, or on the gripper itself. 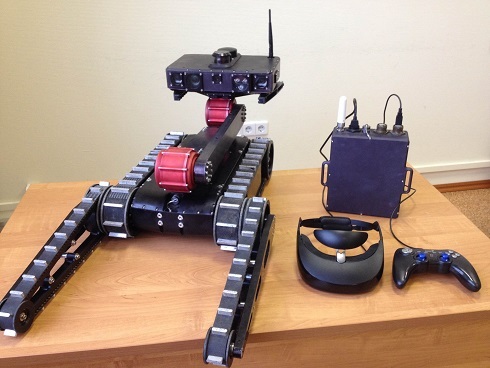 A single operator controls the robot using augmented reality goggles to see a picture from wherever the robot is. A joystick enables the operator to move the robot and its appendages. Users have reported that one can master the controls within a day. If you’re having doubts about your robot-piloting ability, you’re in luck. 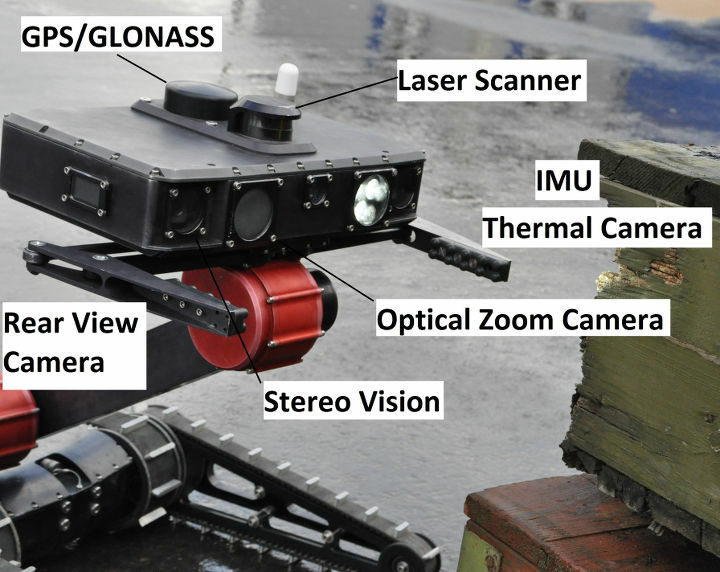 Using a laser scanner and stereo vision, the robot is able to detect obstacles and automatically correct its trajectory to avoid hitting them. In addition, it can level itself from sideways or upside down positions. In addition, the robot has found a role as an education and research tool. The powerful onboard Linux computer, sensors, and customizable nature of the robot make it ideal for anyone looking to learn more about robotics and AI. Specifically, the robotic arm enables conducting research in topics including motion planning, inverse kinematics, self-collision avoidance, grasping, usage of tools, learning from experience, and learning from interaction. Customize your own robot here at the Servosila website.